The Richmond Recliner with Ottoman and Side Table feels super luxurious with ultra-soft cushions. It's the perfect garden furniture to sit and relax in the sun. Adjust the high back chair to find the best position for you. 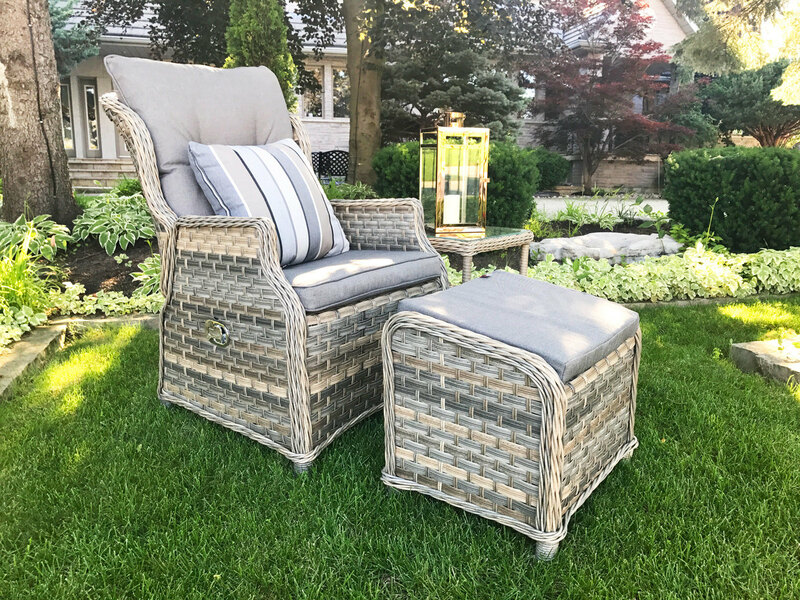 The Richmond Recliner comes in grey resin wicker on aluminum frames with coordinating grey cushions on both the chair and footrest. The natural colours blend into a traditional garden because of the timeless look of the furniture. The Richmond recliner with matching ottoman and side table are the perfect way to spend your summer relaxing.